Up Next Brings Hollywood Blockbusters to SWANSEA! UP NEXT AT THE MOVIES announced as 2018 Up Next theme as Wales’ fastest growing showcase moves to The Grand Theatre in Swansea! It’s time to celebrate the NEXT generation this Summer! It’s YOUR time to stand UP and stand OUT for some Oscar worthy performances! 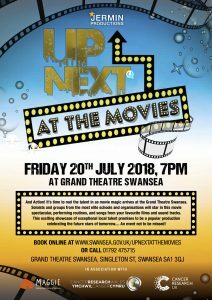 The Up Next Creative team are proud to present their latest production… “Up Next at the Movies.” Following the past success of Up Next South Wales and their latest Christmas extravaganza this Hollywood blockbuster theme will complete the trilogy of talent showcases, with the third production appearing on its biggest stage to date: The Grand Theatre Swansea. … And Action! It’s time to reel the talent in as movie magic arrives at the Grand Theatre Swansea. Soloists and groups from the most elite schools and organisations will star in this movie spectacular, performing routines, and songs from your favourite films and sound tracks. This exciting showcase of exceptional local talent promises to be a popular production celebrating the future stars of tomorrow…. An event not to be missed! It’s time to get the camera’s rolling and project the talent of the next generation on the BIG screen. With a brand new venue and a bigger line up than ever before this A List production is sure to take you on a journey through some of the most iconic movie moments of all time. Its time to celebrate and credit the UP and coming stars, join the best schools, most elite clubs, champion groups and ultra talented individuals in this show stopping production! Each year the Up Next Team select a charity to support at our Up Next events. Through bucket collections, raffles and additional donations the Up Next Events manage to raise a staggering amount for charity organisations both local and national. This year we have selected Maggie’s Cancer Care Charity in Swansea and Cancer Research UK as our two charity partners meaning all money raised in aid of these causes will be split evenly between both wonderful organisations. 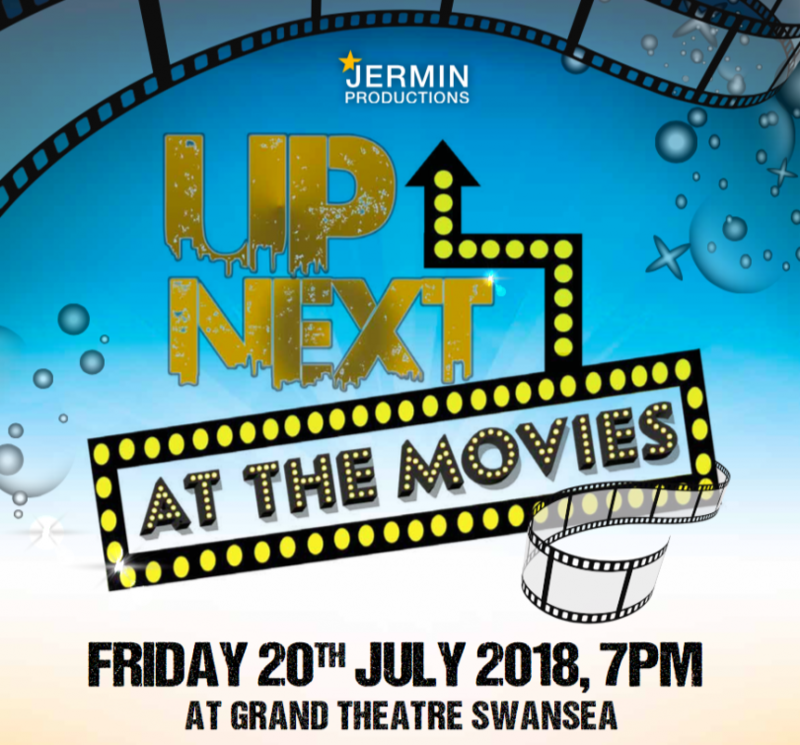 If you would like to be involved and take part in this year’s Up Next Event then please email our creative team at upnext@jerminproductions.co.uk and we will send you out an information pack on this exciting event. We are interested in welcoming back returning groups as well as welcoming new performers to showcase their talents on this Welsh platform so please do not be afraid to reach out and get in touch TODAY!